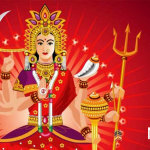 Navratri marks the beginning of nine holy days, the worship of Goddess Durga, celebrating the victory of good over evil, Ma Durga’s victory over Mahishasura. 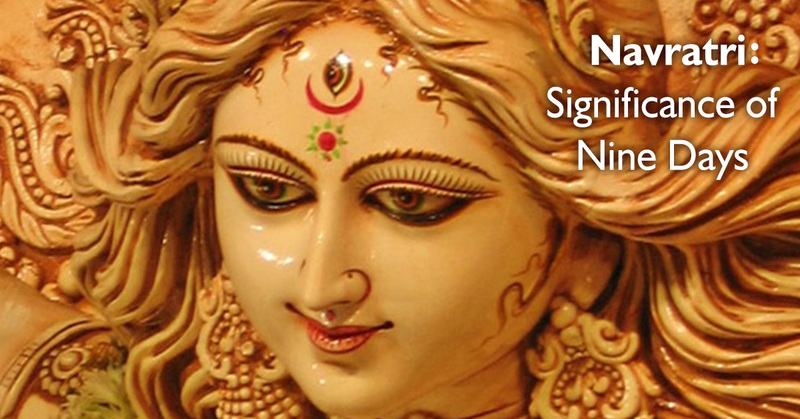 Navratri means nine nights because in Sanskrit ‘Nav’ signifies nine and ‘Ratri’ means night. 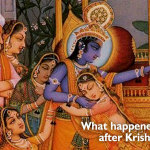 The festival is celebrated across India with great show and fervour, including Vrindavan. The nine-day festival commenced October 10 and will end on October 18 this year, and is dedicated to Parvati in all her nine avatars. Symbolising the triumph of dharma over adharma, Navratri holds a special significance in India. 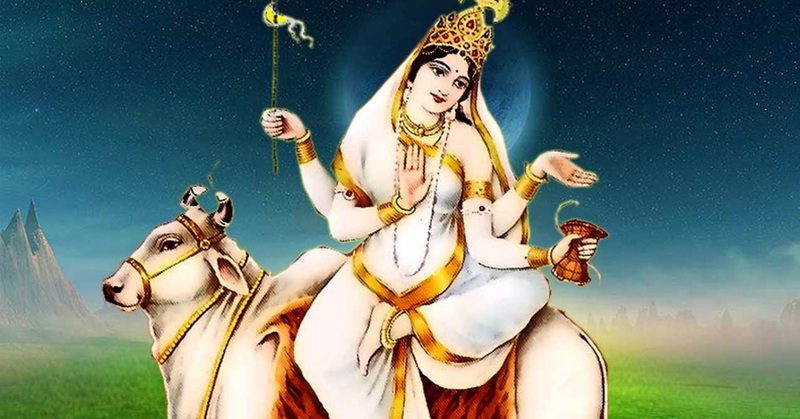 On the first day of Navratri, Parvati’s incarnation, Shailaputri is worshipped. And this avatar of Durga signifies the concerted power of Brahma, Vishnu, and Maheshwar. The devotees worship her as the consort of Mahadev. On this day, Durga’s embodiment signifies nature and purity. 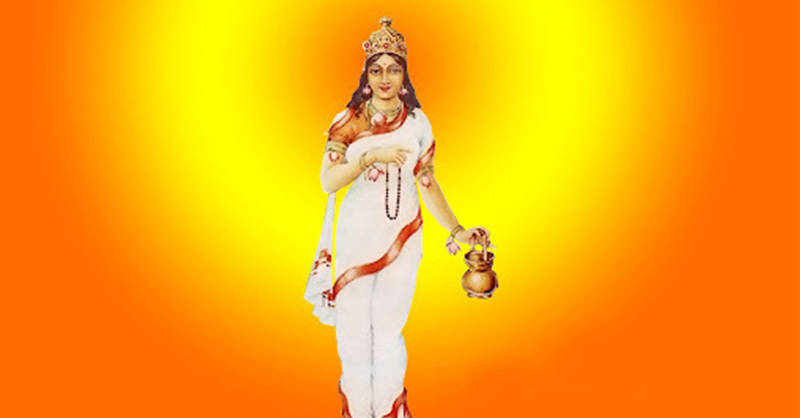 The second avatar of Parvati, Brahmacharini, is worshipped on day two of Navratri. On this auspicious day, Ma Durga looks blissful, blessing all her devotees with happiness, peace, refinement, and prosperity. 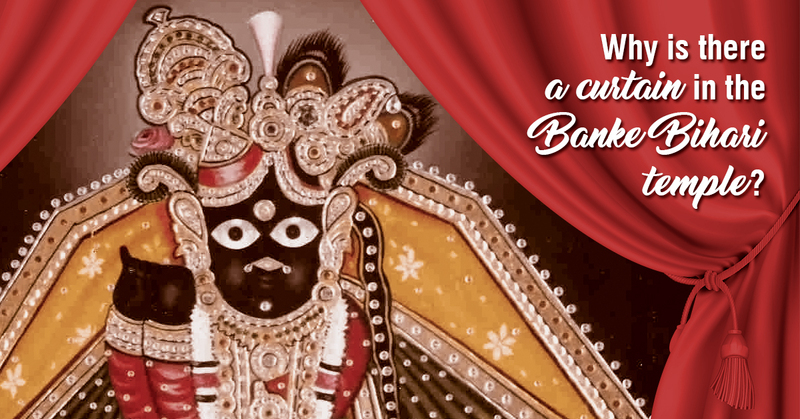 On day three of this festival, Ma Chandraghanta is worshipped, signifying courage and bravery. 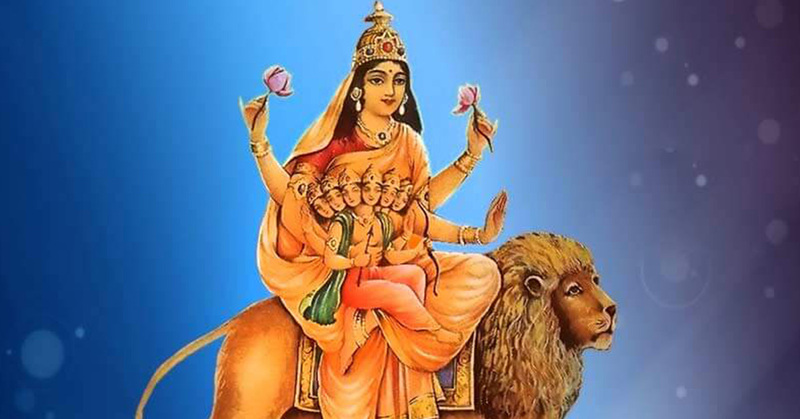 This incarnation of Parvati rides a tigress, representing beauty and grace. Ma Durga bhakts worship her for peace and prosperity in life. The fourth day of Navratri is celebrated in honour of goddess Kushmanda, an embodiment of Parvati and perceived as the creator of our universe. 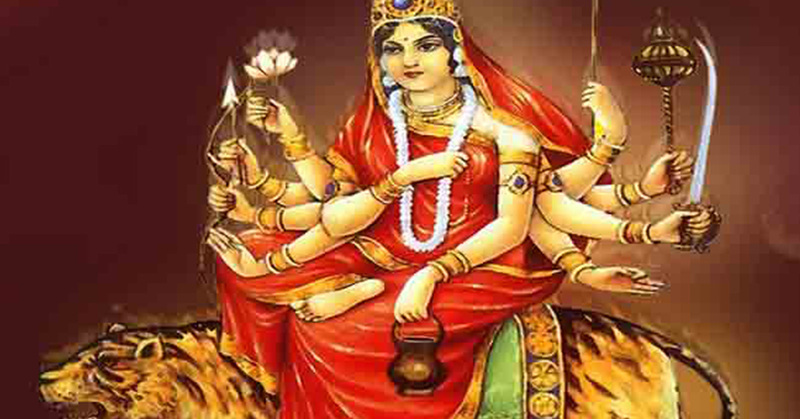 Goddess Skand Mata is worshiped on the fifth day of Navratri. According to Hindu mythology, Skanda is the mother of Karthikeya. The gods chose Devi Skanda to become the chief warrior to fight the demons. The goddess signifies the courage and valour of a mother, who can fight any evil when it comes to the protection and safety of her child. The sixth day of Navratri is celebrated in the honour of Mata Katyayani, who took on Mahishasura. She appears as a warrior on this auspicious day, symbolising courage. 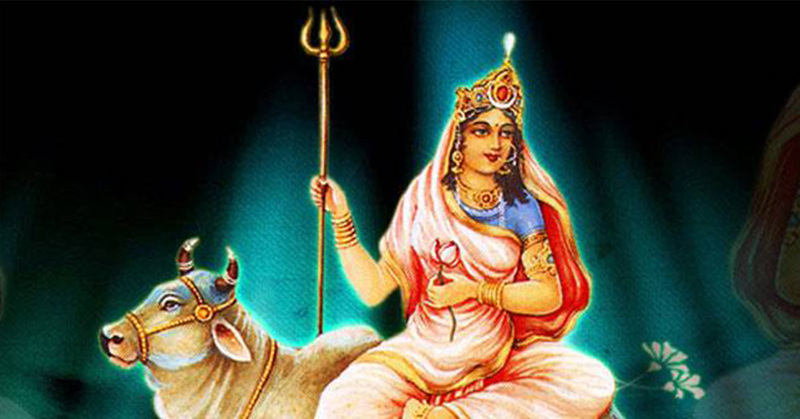 Goddess Kalratri is worshipped on the seventh day of Navratri. 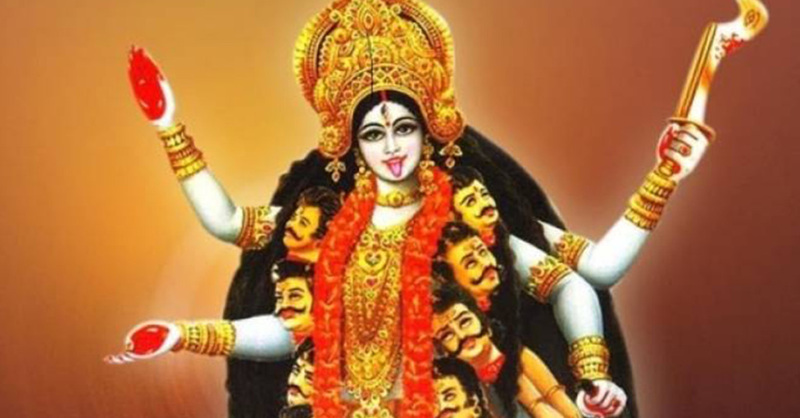 Ma Durga appears in her fiercest form with a dark complexion and disheveled hair. 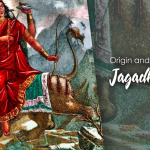 As the incarnation of Durga, Devi Kalratri defeated many demons in a battle against Mahishasura. 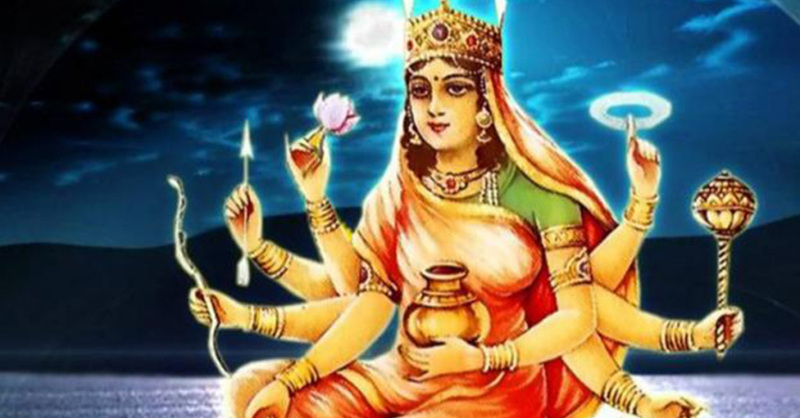 On this day, goddess Maha Gauri is worshipped in her eighth avatar, representing peace, intelligence, and prosperity. 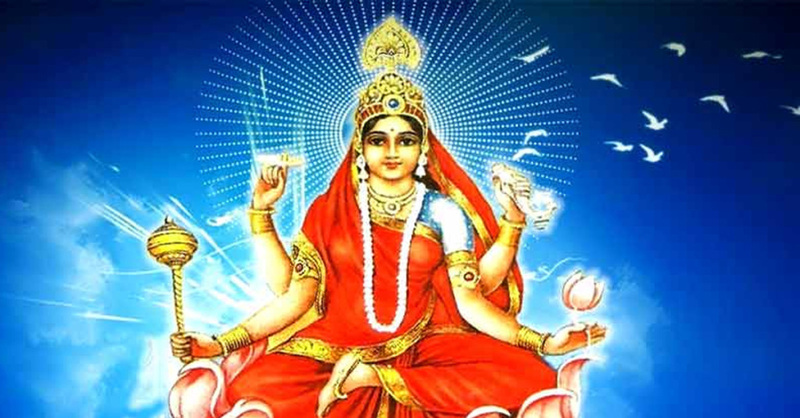 The final day of Navratri is celebrated in the honour of Siddhidatri, who is believed to have healing powers. On this day, the goddess appears in an idyllic state of mind, just as the blue sky on a clear, bright day. 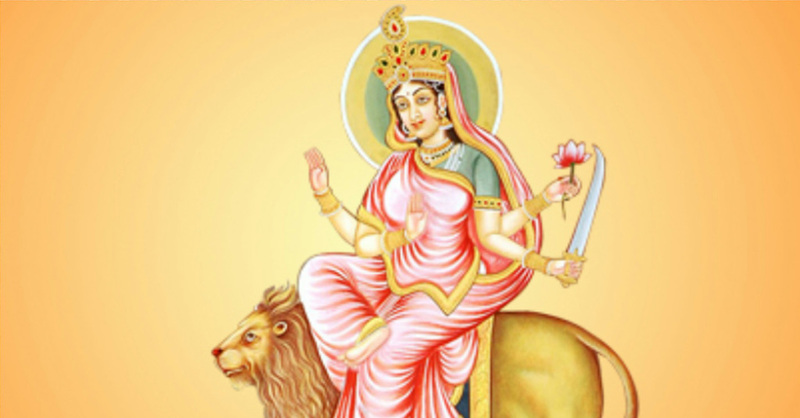 On this day, Devi Siddhidatri sits on a beautiful lotus flower and rides a lion. People celebrate Navratri in the holy Braj and other parts of India by observing fasts and dressing up beautifully in bright colours. 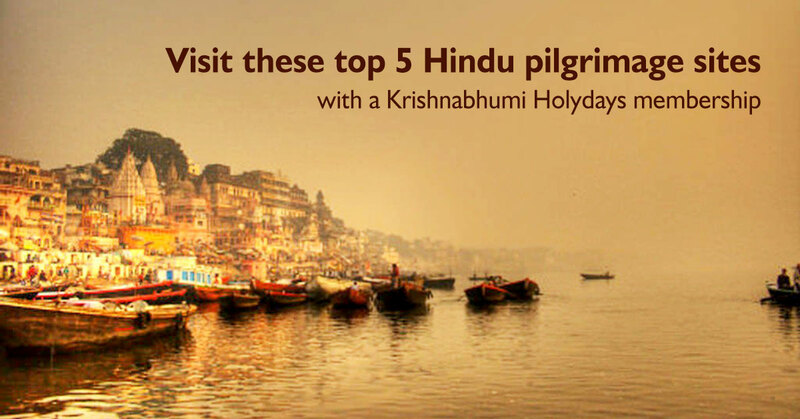 The festival is celebrated in the holy town with much grandeur and fanfare. 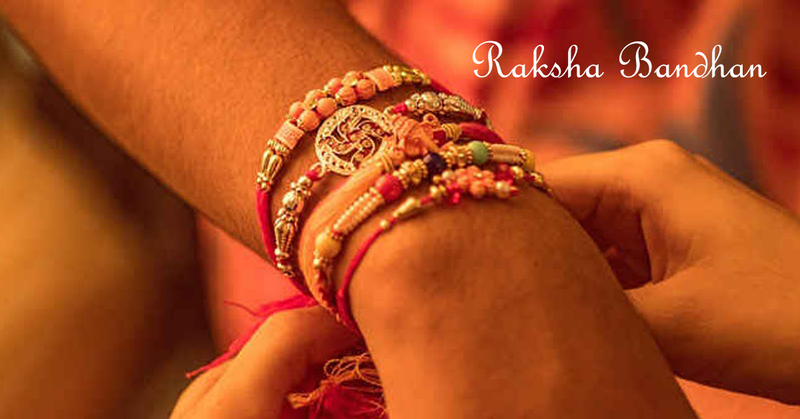 Durga bhakts offer pujas and prayers to please the nine forms of the goddess. You can be a part of Navratri celebrations through a Krishna Bhumi Holydays membership and spend seven days every year in Vrindavan. Why is there a curtain in front of Bihariji? 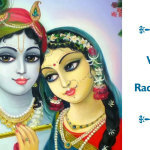 Is Radha’s love for Krishna the highest form of love?